How would I know if I have traumatic brain injury from abuse? Published March 20, 2019 | By V. C. L.
March is Brain Injury Awareness Month. Traumatic brain injury (TBI) often goes unrecognized for survivors of intimate partner violence (IPV). There are many ways people are physically abused. There are usually no visible signs of TBI. Have you ever been choked? Have you been placed in a sleeper hold? Have you been slammed against something? Have you had furniture or other objects thrown at you, hitting your head? Have you had your hair pulled, so hard that you fell to the ground? Have you been punched to the floor and then pulled across the floor by your legs or hair? Have you been hit with something hard, hit with a fist or slapped? Have you been karate chopped? Have you ever been body slammed? Have you ever been kicked? Have you been picked up and thrown? Has this abuse happened more than once? Have you been checked for brain injury? There is a higher risk for permanent damage when these types of physical abuse happens more than once. Many times traumatic brain injury (TBI) from domestic violence goes unreported, resulting in brain injury symptoms that can last a lifetime. I knew I needed help and that all my symptoms were not just PTSD. As an outpatient of a brain injury rehabilitation facility, I completed cognitive, behavioral & emotional programs as well as speech and vision therapy. This blog is to alert domestic violence survivors to seek medical help for possible traumatic brain injury and for agencies to implement programs to screen for TBI, if you have not done so already. *”Domestic violence (DV) is a common cause of brain injury in women, who constitute the vast majority of victims of severe physical violence by an intimate partner. H = Were you hit in the head? E = Did you seek emergency room treatment? P = Are you having problems with concentration and memory? S = Did you experience sickness or other physical problems following the injury? Sends you unwanted text messages, cards, and emails. Sends you unwanted gifts, like flowers. Uses social media/GPS to track you. Constantly calls you and hangs up; or leaves voicemails. Appears in places, they should not be; waiting outside of your employment, church, house. Stalkers control their victims, try to trap them and become threatening in many ways. Your school life, work, social life, and daily functions are affected. There is always a fear of what might happen should the stalker find you. The feeling of being hunted can cripple you. Stalking is illegal in every state. Get the police involved and make sure to find out their jurisdiction. You may have to involve multiple locations. Victim advocates are very helpful. They can provide assistance with safety issues. Always know it is not your fault. You did not cause this person to become a stalker. You may have to relocate, as I did. A restraining order did not stop my abuser/stalker. My stalker appeared where he was not supposed to be. I was a confident, strong woman who became fearful of shopping, going to church, in fear of answering the door and spent many sleepless nights wondering if my stalker was outside. I alerted people ahead of time of where I was going so they could be on the lookout for my stalker. I always was looking around everywhere I went, even when driving until I went into hiding. I am still very cautious when answering the door after relocating. I have heard of stalkers finding their victims years later, so I stay alert to my surroundings. You can feel panic at any time, even years later. Telling my story encourages and strengthens me, knowing that I can help others. I know that God is protecting me wherever I go. Praying daily has helped me gain back my confidence. Stop all communication with the stalker. Remove yourself from social media. Alert your friends, employer, and family members that you are being stalked. Change places you shop, routes you drive and times of your activities. Get some training in self-defense. Keep track of all interactions with your stalker, even if you do not think they mean anything. In the future, you may realize that minor incident was leading up to something major. 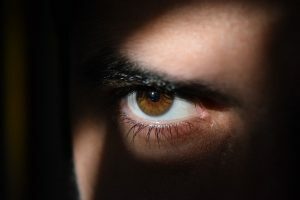 Stalkingawareness.org has resources, such as a “Stalking Incident and Behavior Log”. Go to the local authorities. Published December 13, 2017 | By V. C. L.
Holidays are a time of celebration with family and friends. For domestic violence victims it can be emotionally, spiritually and physically exhausting. When a victim is living in domestic violence, it can be a dangerous time of the year. They never know when there will be another altercation. Visiting family and friends during the holidays can be very stressful. Your abuser may put on a front that they are a perfect person in people’s eyes, but watch out if they are drinking or starting to argue with people. I have asked to leave parties, dinners, picnics, and celebrations. When I could see my abuser was getting out of control, I would ask to leave, knowing I would suffer verbal abuse later. I heard that I embarrassed him, repeatedly for days, sometimes months. People did not know what I was going through. No one knew what I was hiding. 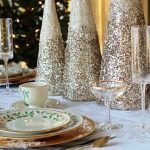 Years and years of abusive behavior over the holidays left me dreading invitations to any festivities. Now that I am away from my abuser, I can enjoy every holiday, even if I am alone. If you are a victim, still living with your abuser, I pray for your protection. If you are a domestic violence survivor, I pray that you find peace and healing this holiday season. Published October 16, 2017 | By V. C. L.
C.L. Valens is a domestic violence survivor. After many years, she finally summoned the confidence and courage to leave her abuser. Writing is a way that has helped her heal. 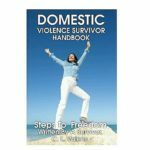 “Domestic Violence Survivor Handbook, Steps to Freedom”, is an informative, practical guide to leave domestic violence. This educational tool can help reduce the anxiety of not knowing what to do next. You may purchase it on Amazon Kindle as an eBook or hard copy version. It is also available on Kobo and Nook as an eBook. She has made a commitment to help survivors with their journey to freedom, health and happiness. C.L. is available to speak at your churches, networking events, conferences, medical offices and businesses. Hear her story of empowerment and healing. Domestic violence touches families all over the world. It does not matter the religion, race, social-economic status, or gender. A percentage of all her book sales and speaking engagements will be donated to Innov-E Foundation, a 501c3 nonprofit. Published May 30, 2017 | By V. C. L.
Nobody should have to choose between living in abuse and being homeless. We all can do our part to bring awareness to helping those of us who flee abuse. Many survivors have young children. Many have not worked outside of the home. 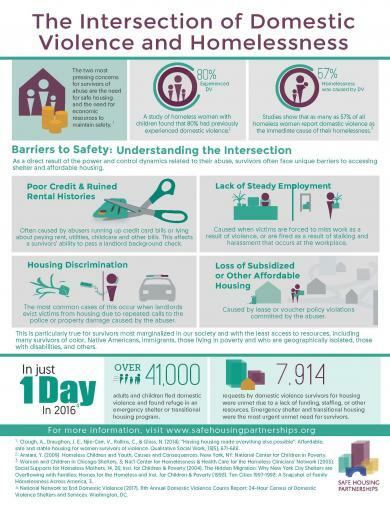 Many stay because being homeless is not an option for them. Published May 11, 2017 | By V. C. L.
C.L. Valens, Innov-E Foundation’s Executive Director, was featured recently in internationally known Healing Stigma’s blog: The role of stigma in domestic violence: How one survivor left an abusive marriage & is now helping others. As a survivor of domestic violence, CL’s mission in life is to help other survivors heal from abuse and take their life back. Her book, “Domestic Violence Survivor Handbook, Steps to Freedom” is the just the beginning of CL’s many ways she is helping victims become survivors. 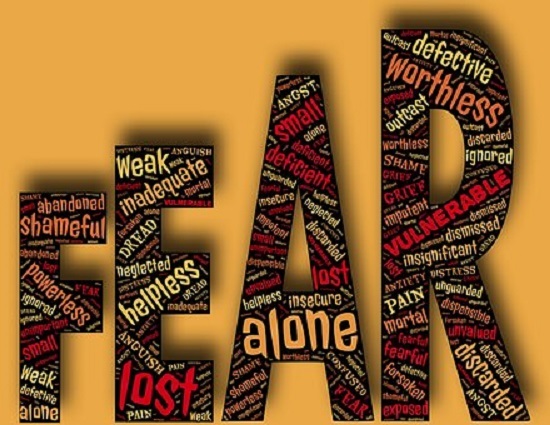 Published May 3, 2017 | By V. C. L.
Feeling his hands around my neck saying, “I am going to kill you b….”, living in fear, knowing I might not see the next day! That is how I felt many years. When I finally got away, I did not realize how scared I was of my abuser. Just the thought of him made me tremble to my inner core. Seeing him, made my legs so weak I could not walk. Standing against a wall after getting a temporary restraining order, trying not to pass out, I realized that this was the end of my abuse and the beginning of a new life. I was making a statement that I would no longer tolerate abuse of any kind. I was scared, not knowing the next move, I realized that no matter what happened I had to get away and never look back. Appearing in court with him was more than my body and mind could handle. After the first arrest for stalking, with the restraining order in place, the court accepted my plea not to appear with my abuser in court again. For that, I am grateful. May is Mental Health Awareness Month and that was a reminder for me to realize how much I have healed both mentally and physically. PTSD is something I will live with the rest of my life, but fortunately, I have learned ways to cope with it. I found many ways to heal alternatively and I want to help others learn those ways and become survivors, leaving the victim mentally behind. One way that was healing for me was to write, “Domestic Violence Survivor Handbook, Steps to Freedom“. If you are a victim of abuse and trying to find your way to freedom, please check out my book. are tax-deductible. You will receive an acknowledgement of all online gifts you make.